Mantaleda > Avrail Walk In Bath With Left Handed Door Entry (1700, Whirlpool). Aventis walk in bath with left handed door entry,12 whirlpool jets and under water lighting. Space saving inward opening door (watertight). 12 x Whirlpool jets (3 speed spa). 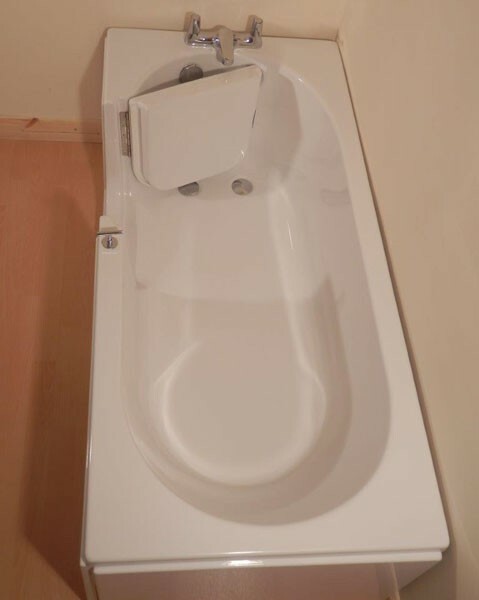 Ideal solution to replacing an existing bath. 1 x Front bath panel included. 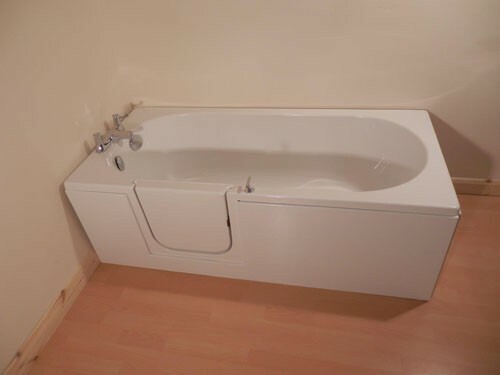 1 x End bath panel included. Dual plug and chain bath waste kit included (chrome). Bath size 1700L x 700W mm. NOTE: This is a special order bespoke bath. Please allow 2-3 weeks for delivery. Mantaleda have been manufacturing quality G.R.P. bath tubs for over ten years. They specialise in the production of innovative walk in baths, for the less able. Serving all manner of customers from one off bespoke sizes, to multiple on going contracts, both at home in the UK and worldwide. Mantaleda are fast becoming one of the largest suppliers of high quality walk in baths in europe.